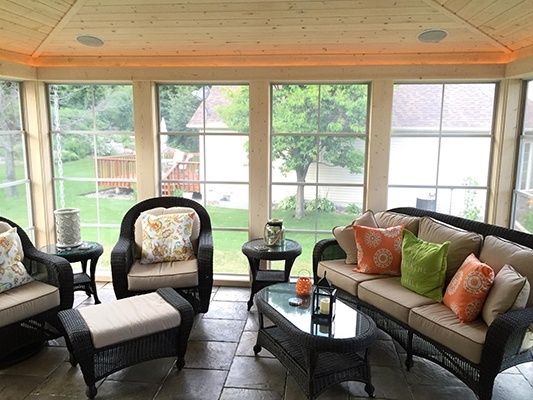 Have your dream outdoor living space that remains CLEAN and DRY! 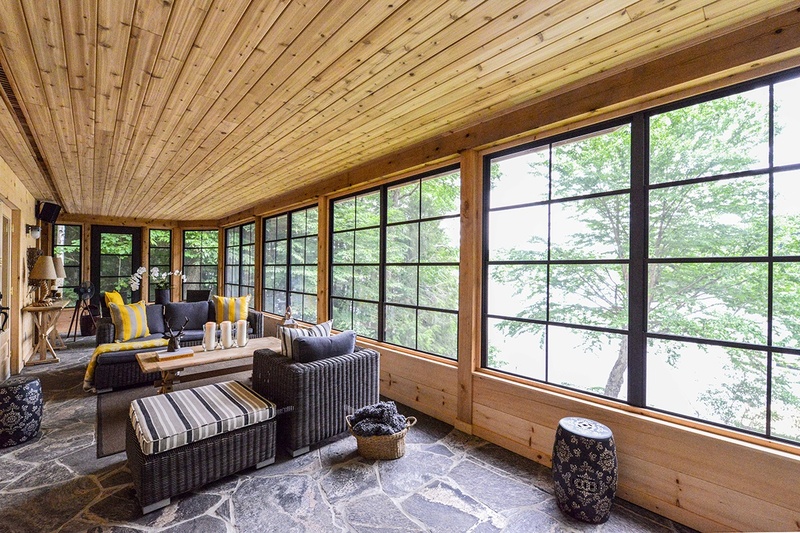 The Sunspace Window System combines the open feeling of a screen room and the comfort and convenience of a three season porch. 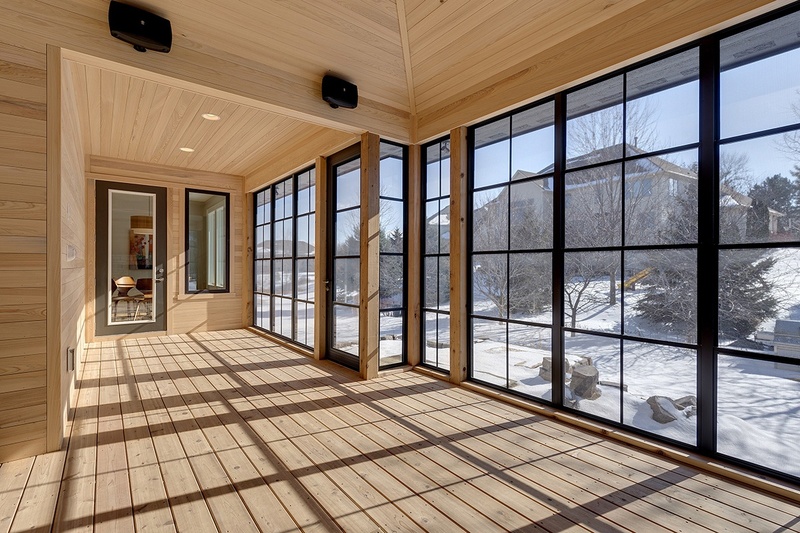 With our windows, you can stop the dust, rain, and snow from taking over your space. 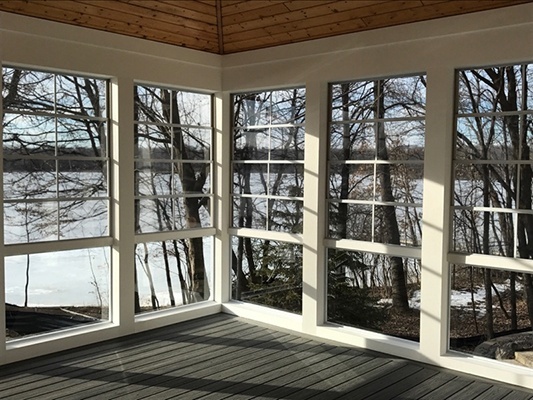 Custom made windows will fit into your existing porch openings for an easy installation with no framing modifications required. 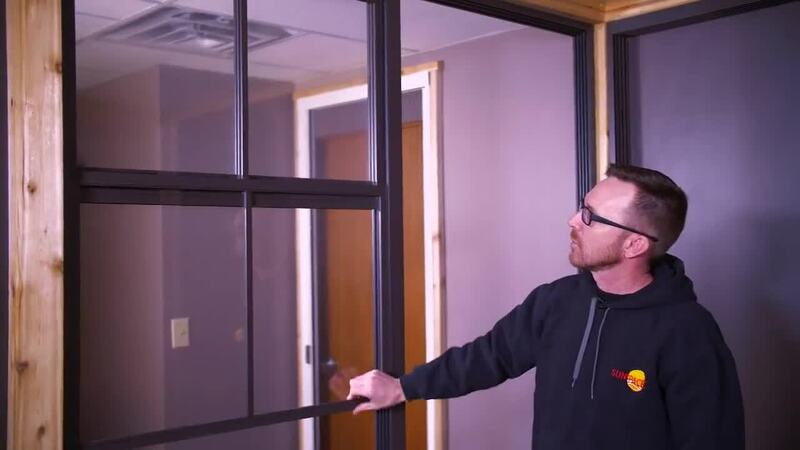 Sunspace Vertical 4-Track Windows are available in seven colors with many screen and tinting options available to get the perfect look and function you desire. Our porch window systems come in various styles and colors to best accentuate the design of your home. Style, safety, and flexible design are the cornerstones of the Sunspace Window System. Sunspace Porch Windows are built with the durable View Flex Vinyl Glazing that keeps out the harmful UV rays of the sun. 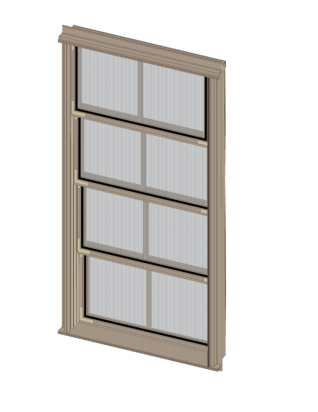 The nylon guide tracks allow smooth operation, opening each window up or down for up to 75% ventilation. Sunspace track windows can be mulled together in the factory into double or triple wide units. 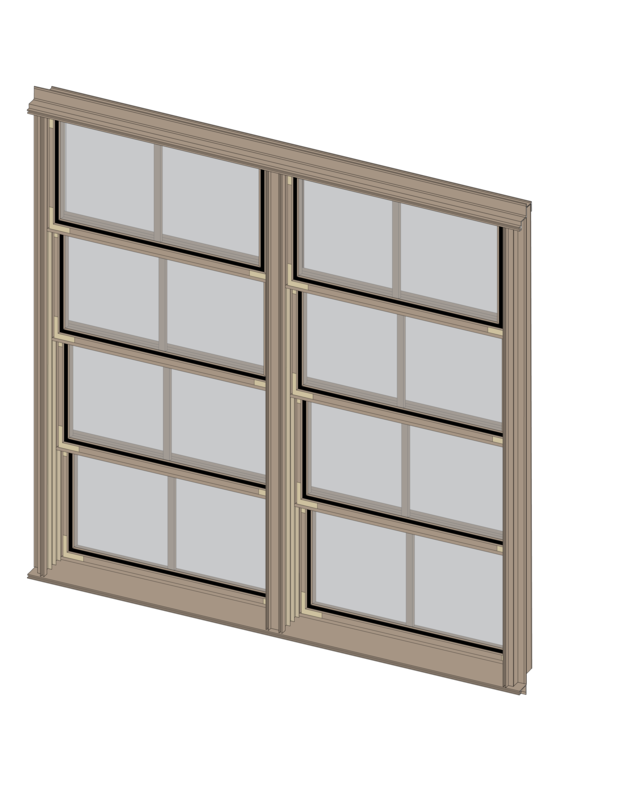 Double window units are custom made to you desired opening. Sizes up to 108" wide and 108" tall. 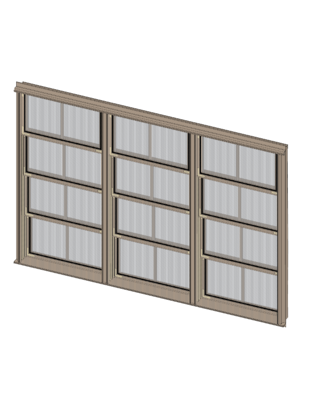 Triple window units are custom made to your desired opening sizes up to 144” wide and 108” tall. Mulled units have a 2” wide vertical bar between the window units. 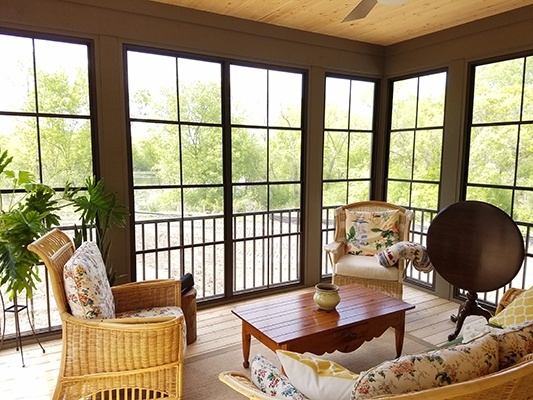 For a porch that is less than 30" off the ground, you can have the floor to ceiling windows without any type of guard rails or fall protection. Our traditional railing is most commonly installed inside of the windows but can be done on the outside as well. When the view into your backyard is important, this is the most popular method. The tempered glass panels carry the same lifetime warranty.